There are plenty of activities you can enjoy in your day visit to Mazatlan. All this activities are thought for cruise ship passenger to take advantage of your time. 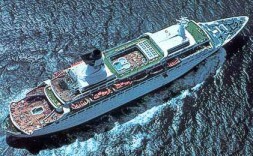 Mexico cruises have become one of the most popular ways to visit Mexico. Cruises feature great food, entertainment, interesting ports of call and fascinating tours of ancient ruins and cultures along way. There are many Mexico Cruise Ports. Cabo San Lucas and Cozumel are major ports on the Gulf of Mexico. Important Pacific ports include Acapulco, Mazatlán, and Puerto Vallarta. 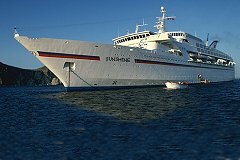 Mexico Cruise Destinations.There are many several places to visit and choose from, here are some Mexico Cruise Destinations. Mexico is bordered by the United States on the north, the Pacific Ocean on the west, the Gulf of Mexico and the Caribbean Sea on the east, and Guatemala and Belize on the south. Mexico & Mexican Riviera Cruises. The Mexican Riviera is a land of lush mountain jungles, quaint fishing villages and chic seaside resorts. Enjoy the rugged scenery of Cabo San Lucas. Go for marlin in Mazatlan, the sportfishing capital of the world. And take home great catches from the chic shops in Puerto Vallarta. Crystal Cruises - Holland America Lines - Norwegian Cruise Line - Princess Cruises - Royal Caribbean International .Sun, sand, water – what more could you ask for? The Mexican Riviera is filled with rich experiences, fantastic locations and fun in the sun! The cliff divers in Acapulco will leave you breathless until you're ready to take a break on the powdery beaches of Puerto Vallarta. Water enthusiasts will thrive in Cabo San Lucas while those who like to shop and explore will be at home in Ixtapa and Mazatlan. Come experience the true Mexican Riviera with Princess. Royal Caribbean International Cruise Line Packages, Discount Cruises, Best Cabins at the Lowest Rates, Last Minute Cruise Bargains, Mexico Vacation Packages, Cruise Packages, Land Air or Sea. Cruise Specials and Discount Reservations to Mexican Cruises, Cruises to Mexican Riviera 3, 4, 7, 10 Day Cruises.Baja Mexico & Mexican Riviera. 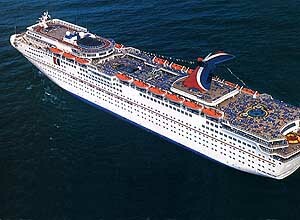 When you need a few days off, sail with Carnival to Ensenada for three or four spirit-restoring days. Enjoy fun activities on deck, lounge by the pool, or work out in the ship's complete fitness center. You'll enjoy lavish entertainment, Vegas-style casino action, fabulous meals and all the pampering service that makes Carnival so popular. During your Mexico Riviera cruise, you'll experience the primitive beauty of the country's beaches, coves and forests and the cosmopolitan energy of its festive, world-famous resort communities. Mexico Cruises. Sun, sand, water ­ what more could you ask for? The Mexican Riviera is filled with rich experiences, fantastic locations and fun in the sun! The cliff divers in Acapulco will leave you breathless until you're ready to take a break on the powdery beaches of Puerto Vallarta. Water enthusiasts will thrive in Cabo San Lucas while those who like to shop and explore will be at home in Ixtapa and Mazatlan. Come experience the true Mexican Riviera with Princess. Cabo San Lucas and Los Cabos Activities Guide, Baja, Mexico. Boat Cruises, Booze Cruise and Ocean Tours on Cabo San Lucas Bay, Sea of Cortez and the Pacific Ocean.Royal Caribbean's 5-satr Legend, and Vision of the Seas all go to Mexico. These are the Captain's favorite ships to Mexico. This generation of ship offers large,luxurious cabins and public rooms on one of the most beautifulships afloat. We love the Viking Crown lounge with 360 degreeviews and the Windjammer restaurant up front which providesincredible 180 degree views while dining. This 7-night cruise calls on Cabo San Lucas, Mazatlan and Puerto Vallarta. The Royal Caribbean Cruise Line offers cruises to the Baja, Mexican Riviera and the Panama Canal. You may view a cruise itinerary and obtain a free quote online.Star Clipper.This cruise line offers "Mayan Caribbean Cruises" to Belize, Honduras and Mexico departing from Cancun, Mexico from November through March of each year. Ports of call include Roatan, Honduras; Goff's Cay, Belize and Cozumel, Mexico.Carnival Cruise Lines prides itself on being "The Most Popular Cruise Line in the World®" - a distinction we have achieved by offering a wide array of quality cruise vacations which present outstanding value for the money.A Cruise is a truly, unique travel experience. It is a real escape from reality. It can be both exciting yet relaxing; luxurious yet economical, along with being romantic and interesting. People of all types and ages will enjoy the cruising experience and Cheap Cruises can help you plan and reserve a spot for you and your companions on the cruise of your dreams and at a price for your particular budget. View Mexico Specials.Cruising is growing in popularity because of its all-inclusive nature. Everything you need is right on the ship, and the opportunity to visit exotic countries without the hassles of air and hotel travel is very appealing to most. After spending the day sight-seeing, swimming and shopping you can return to your first-class floating hotel to relax, dine and be entertained on your way to the next exciting port-of-call. Cheap Cruises is your Online Source for Wide Selection, Discount Cruise Travel. This is a State-of-the-Art system and available Online to our Customers. And Best of all are our Discount Prices. Enjoy and Happy Cruising! 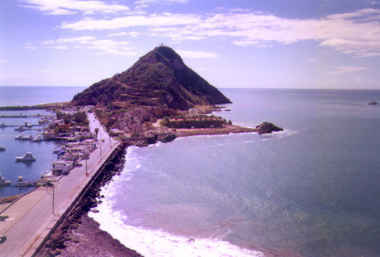 We provide several tours suitable for cruise visitors in Mazatlan. You are picked up at the dock at 9:30 a.m. and return back before the boarding time that same evening. There is much more to Mazatlan than just souvenir shopping in the Golden Zone. The city is full of antique architecture from the XIX century at the Historical Center, including a fort that fought against the French in 1865. Also there is the "The Angela Peralta Theater" built in 1863 that has been restored to it's original condition. Located near Mazatlan are small towns rich in history. That is were the authentic Mexico and the mexican people can be found!